Dean Reynolds, an award-winning reporter who has covered major stories from datelines around the world, has been named a CBS News correspondent, CBS News and Sports President Sean McManus announced. "Any time you can acquire the talents of a reporter like Dean Reynolds, you jump at the opportunity," McManus said. "He has done extraordinary work on every kind of story imaginable, from the biggest domestic stories of the past decade to politics to international hostage crises and the Gulf War." Reynolds will be based in CBS News' Chicago bureau, along with Cynthia Bowers. The new assignment "gives us a remarkable strong correspondent team in Chicago," McManus said. Reynolds has been a correspondent for ABC News for the past 23 years, reporting primarily for "World News" as well as other network broadcasts and platforms. In addition to major domestic stories, including President Gerald Ford's funeral, he has covered several presidential campaigns, most recently that of Sen. John Kerry in 2004 while based in Chicago, where he has been since 1998. Reynolds also covered the campaign of Gov. George W. Bush in 2000. During the mid-1990s, he was based in ABC's Dallas bureau, where he reported on stories throughout the Midwest and Southwest, including the Oklahoma City bombing and the trial of Timothy McVeigh, as well as McVeigh's eventual execution in 2001. Before that, Reynolds was assigned for more than a decade to ABC's Tel Aviv and Jerusalem bureaus, from where he covered the Palestinian uprising against Israeli forces, the first Gulf War, the Arab-Israeli peace process, the war in the Balkans and the influx of Russian immigrants to the Jewish state. Previously, he was based in London for ABC and, while on assignment in the Moscow bureau, Reynolds covered the Chernobyl nuclear disaster. 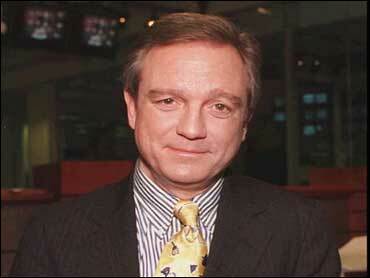 He joined ABC News in 1984 as a Washington-based correspondent, where he covered the Pentagon, among other beats. Before that, Reynolds was a White House correspondent for CNN during the Reagan administration. Before transitioning into broadcast journalism, he covered that beat for United Press International, where he also was an editor and reporter from 1971 to 1981. Reynolds is the recipient of three Emmy Awards, as well as the White House Correspondents' Association's Merriman Smith Award for excellence in presidential news coverage for his reporting on the shooting of President Reagan. Born in East Chicago, Ind., Reynolds graduated from Wabash College in 1970 with a bachelor's degree in liberal arts. Reynolds lives with his wife and four children in the Chicago area. He is the son of Frank Reynolds, the late ABC News anchor.